Put an end to corrosion, rust and pitting! S100 Total Cycle Corrosion Protectant is a revolutionary product developed specifically for the motorcycle industry. Now, for the very first time, the bike owner can virtually put and end to corrosion and rust worries on his expensive investment. 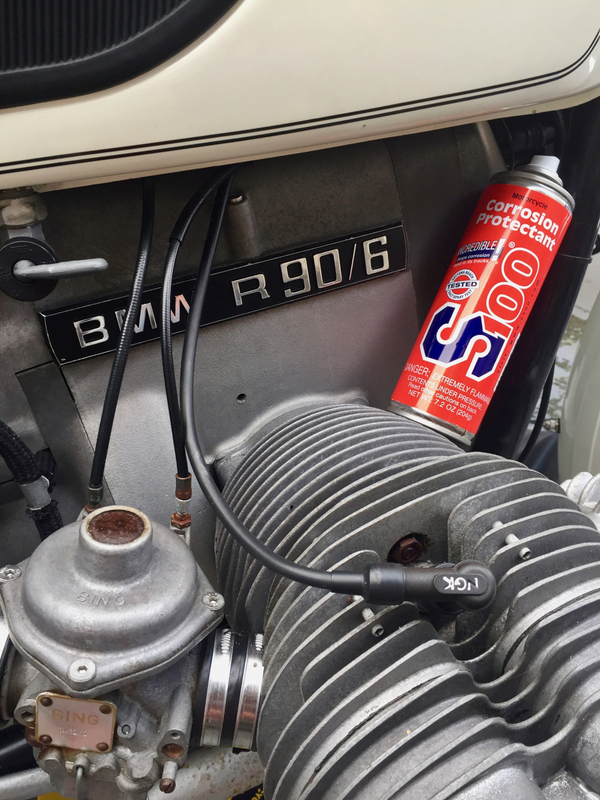 S100 Corrosion Protectant creates an invisible barrier coating which helps prevent anything corrosive from attacking your motorcycle. Without protection, metals will rust and chrome become pitted. If this happens, the only way to correct it is intense polishing or, in the worst case scenario, re-chroming the affected part. 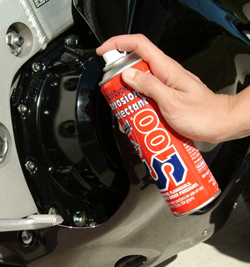 Keep your motorcycle looking good from the start with S100 Corrosion Protectant. It's the only way to truly protect your investment. S100 Corrosion Protectant can also be used on plastics, vinyl, finished leather and synthetic leather to protect them from UV rays. Two features make S100 Corrosion Protectant different from anything else on the market. It consists of a totally new chemical technology. It clings in a way that salt air and other corrosion-causing influences cannot easily penetrate or wash away. I needed a product that would coat the aluminum parts of my BMW motorcycle to prevent corrosion from the horrible humidity and salty air in the Florida Keys. I had tried several products that look good just after application but do not last very long, allowing corrosion to start after just 4 or 5 days. This S 100 product is pretty darn good so far. It has lasted for several weeks with no visible corrosion so far. I have washed the bike with cool soapy water twice and it is still there on the metal at this time. I like it! I have used this Corrosion Protection in the past and it does what it is meant to do. I'm not reading this wrong am I? " Invisible barrier"? Yes, it works well as far as protecting finishes but it leaves a hazy / frosted coating on whatever you hit with the spray. Also seems to collect dirt, etc. on coated parts. Don't get me wrong... I love S100 products but this one is best left for storage needs.